The Virginia World of Pets Expo and Educational Experience takes place on February 15-17, 2019 at the Hampton Roads Convention Center, in Hampton. 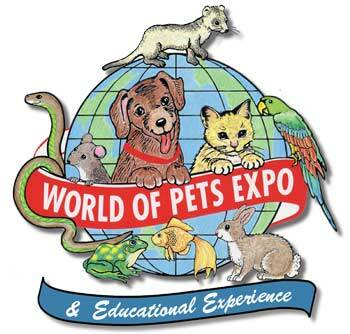 World of Pets Expo is a cornerstone event for East Coast pet enthusiasts and animal lovers alike. This year will mark the 7th anniversary of the Virginia World of Pets Expo, we continue to grow our Virginia show and are expecting an amazing turnout this year. This exciting three day expo is one of Virginia’s only family and pet friendly events that is fun for all ages, it is considered the Ultimate Event for the Pet Lover. Tickets are available online or at the door. Tickets go on sale at the door one hour prior to the event time and are cash only. Military discount available at the door, proper ID required. Friday Feb 15 2 p.m. - 8 p.m.
Saturday Feb 16 10 a.m. - 7 p.m.
Sunday Feb 17 10 a.m. - 5 p.m.
© 2009-2019 Adstrategies, Inc. DBA TixOnlineNow.com. All Rights Reserved.